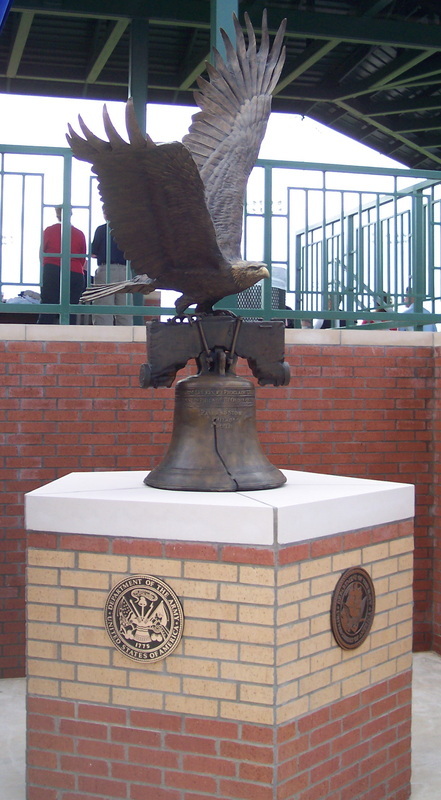 As the symbol of freedom, a bald eagle was designed as a centerpiece for a Veterans Memorial honoring all the armed forces of the United States. Placed on a pentagram shaped base with each side representing a branch of the armed forces, the eagle stands with wingtips 8 feet tall. 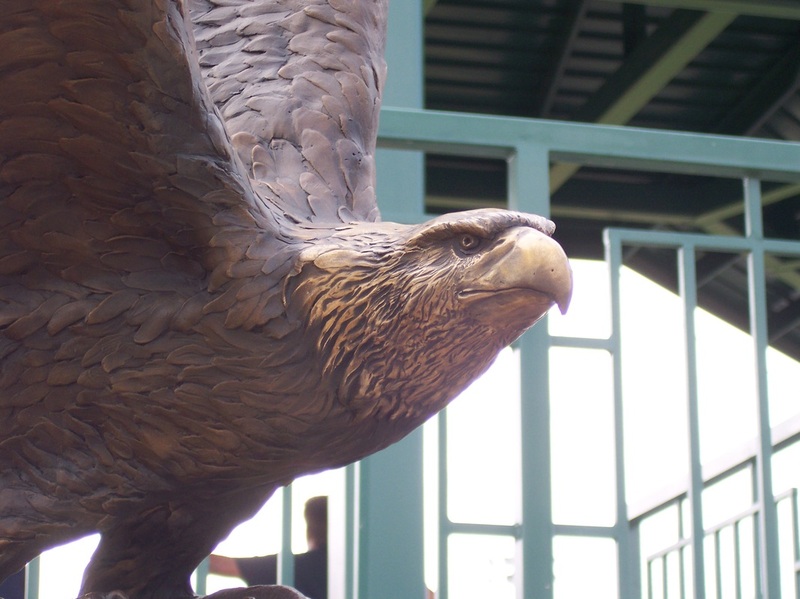 This sculpture was dedicated during a Memorial Day celebration at the entrance to Veterans Baseball Park.